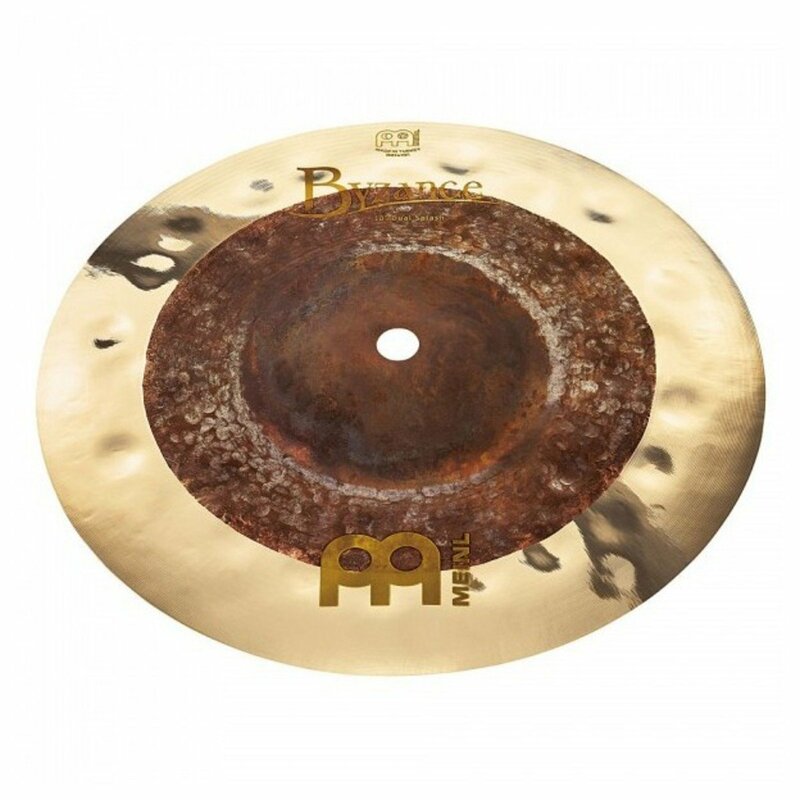 The Meinl 10in Byzance Extra Dry Dual Splash lives up to its name. 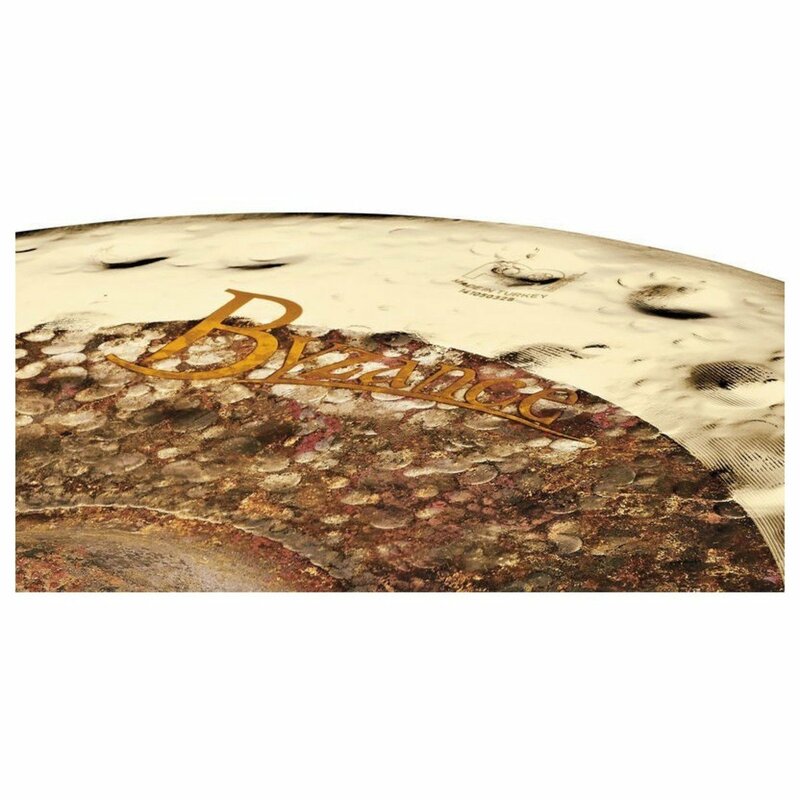 This cymbal is extremely dry, with low-pitched, trashy sounds and short sustain. The raw unlathed surface and extensive hand hammering would suggest that its sound might be loud and fierce. The 10in Extra Dry Dual Splash gives off dark, earthy tones and comes to life when played at lower volumes.